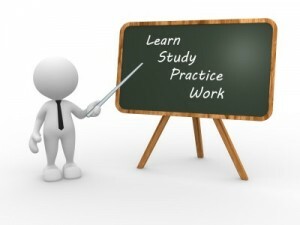 Legal training courses are a time for learning and development. But they are also excellent opportunities to network! When you attend an off-site training course, your primary objective is undoubtedly to enhance your knowledge-base and improve your legal practice. But there’s an added advantage to gathering in the same room with a group of like-minded peers, and it’s one that is often overlooked. We are of course talking about networking. You will have heard of (and maybe even attended) networking events – be it a business breakfast, lunch, or conference. With these, you know that you are attending with the intention of networking, and as such it can feel a little forced or overwhelming. The beauty of legal training days is that networking is so much more organic. Remember, you are all there because of the training. There is no pressure to hand out your quota of business cards. Any connections that are made tend to arise naturally during group discussions, or over a cup of tea during the refreshment break. Yet these connections can turn out to be absolutely vital to your career. Well, there are many potential benefits of networking at legal training days. Some are immediately obvious, while others may not show their true value until a little later down the line. Firstly, you can share anecdotes and advice. You might be struggling with a particular issue in one of your cases, or in your business. Quite often if you share this with a group of other personal injury practitioners, someone else will have had the same experience and can provide some useful hints to set you in the right direction. This can be invaluable, as sometimes it can feel like you are working in isolation. This is especially true for those who do not have a team of personal injury practitioners to rely on, or for business owners/team leaders who have no authoritative figure to turn to when things get difficult. Secondly, you never know when your new-found connections might come in useful. In the future, you might need to seek their expertise, perhaps because they have a particular area of specialism. Or you might be looking for a new job opportunity, or you might be looking to recruit a talented individual at your own firm. Therefore when you attend a legal training course, you should not forget the value of networking. It should not be your primary concern – you are there to learn, after all! But be sure to speak to the other delegates, make a good impression and exchange business cards. You never know when it might come in handy.